 Mouse anti Human CD154 antibody, clone MK13A4 recognizes the human CD154 cell surface antigen, a 32 kDa glycoprotein also known as CD40 ligand. CD154 is expressed on activated T lymphocytes, predominantly CD4+ve cells and also on some basophils and mast cells. Mouse anti Human CD154 antibody, clone MK13A4 has been reported to block binding of CD40 ligand to its receptor CD40. Koumas, L. et al. (2001) Fibroblast heterogeneity: existence of functionally distinct Thy 1(+) and Thy 1(-) human female reproductive tract fibroblasts. Am J Pathol. 159 (3): 925-35. Kaufman, J. et al. (2004) Expression of CD154 (CD40 ligand) by human lung fibroblasts: differential regulation by IFN-gamma and IL-13, and implications for fibrosis. Arita, S. et al. (2008) B cell activation regulates exosomal HLA production. Eur J Immunol. 38 (5): 1423-34. Deambrosis, I. et al. (2009) Inhibition of CD40-CD154 costimulatory pathway by a cyclic peptide targeting CD154. J Mol Med (Berl). 87 (2): 181-97.